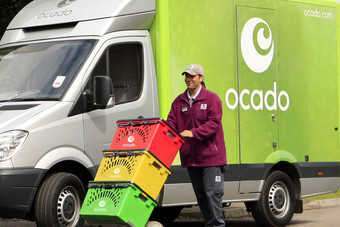 UK internet grocery retailer Ocado has announced the appoingment of Andrew Bracey as chief financial officer. Bracey, a former investment banker, advised Ocado on its recent financing when he was head of consumer retail investment banking at Jefferies International. Prior to joining Jeffries, Bracey was MD, principle investments, at Barclays Capital. He has also led Somerfield's investment strategy. Tim Steiner, Ocado CEO and co-founder, said that Bracey's "City experience" will be "key for our future", fuelling speculation that the retailer is gearing up for an IPO. "We are delighted Andrew is joining the Ocado team as CFO after many years working closely with us," Steiner said. Ocado is growing at around 30% year-on-year, with annualised sales running at over GBP450m (US$742.1m). In a financing deal announced last week, GBP30m was raised in new equity and GBP20m in debt finance.